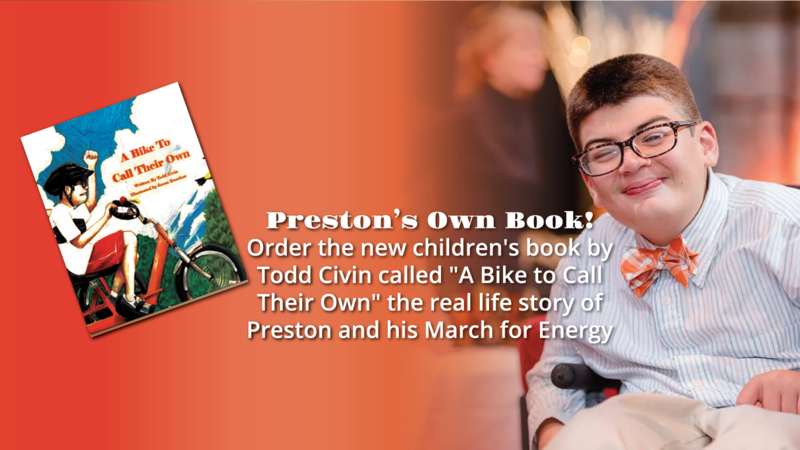 Order the new children’s book by Todd Civin called “A Bike to Call Their Own” the real life story of Preston and his March for Energy. While his friends would skin their knees. But he’d watch them just the same.